Who would not want to win a huge amount of money instantly? 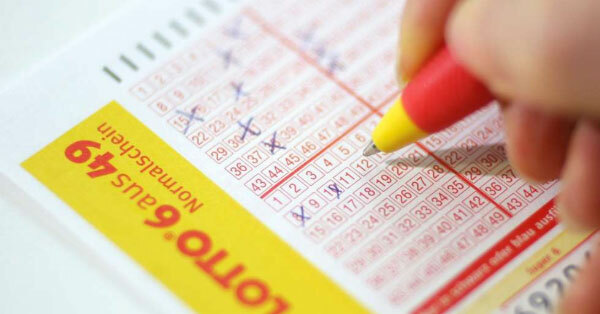 Betting in the lotto draws gives us the chance to win millions of money. In fact, many Filipinos have already enjoyed it as they won from different lotto draws. How lucky they are to win a super lotto 6/49 ! This is very common in the Philippines to see Filipinos betting on numbers hoping that they could be lucky and become an instant millionaire in a snap. Although many people who have won the lottery were just too lucky, but thinking the very sense of it, we can say that it is next to impossible. The truth is the chance of winning from any lotto draw is very slim. With so many combinations, you can be the luckiest person if the numbers you bet were chosen. To give you clear idea how slim your chances of winning in the super lotto especially in lotto 6/49 draw, read on this article. Definitely, if you will bet in the Lotto 6/49 draw, you must select 6 numbers from 1 to 49. Keep in mind that a number can only be selected once per lottery ticket, but you can choose numbers in any order. Considering the highlighted number, it means that your chances of winning are 1 out of 10068347520. Indeed, it can be incomprehensible to determine the chance of winning in the lottery draw. Betting the numbers of significant dates in your life does not guarantee chances of winning. Think about the money you’ve been losing betting in every lotto draw. It could be a big waste of your hard-earned money taking chances in the lottery draw. You must have used it for the expenses of your family rather than buying lotto tickets. There’s nothing wrong trying your luck in lotto draws, but just like your odds of winning your luck may come once in a blue moon and you don’t know when. Therefore, lotto draws won’t help you be financially free particularly if it’s not your time to be a millionaire in God’s will. The best thing to do is to work hard and smart and spend your money frugally. Remember that there’s no shortcut to get rich. You must work hard for it and it can be more joyful to enjoy the glory of success if you had worked for it.